Ever since Samsung decided to go with all glass and metal design they have never looked back. Then they launched the Edge series which literary provided them with a competitive Edge over their competition and propelled them into becoming one of the most successful Mobile Phone manufacturers globally. S7 Edge is one of the most successful phones, it has won design accolades, was admired and ranked best flagship device for 2016. However, for reasons only known to Samsung (in my opinion it was sheer arrogance on Samsung’s part to launch Note 7 before Apple 7’s) they managed to make the Note 7 the most dangerous phones to be used. They had a huge responsibility to redeem themselves as a Brand and a whole lot of anxious consumers waiting for the next big thing from them. Rightly so Samsung humbled up and worked hard to improve and refine the design and they seem to have achieved the desired sweet spot in terms of execution and implementation of the curved screen. They call it ‘Infinity Display’ wherein the glass at both front and rear melts into the aluminium frame. Edges no more, just curves! 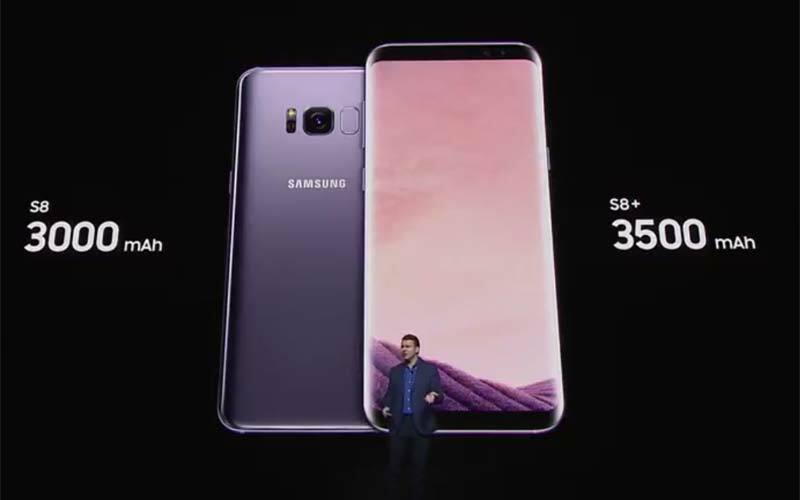 also keeping up with the trend of innovation the new screen to the aspect ratio of 18.5:9 which allows a large 5.8-inch screen 6.2 inches on S8 and bigger S8+ respectively, moulded into a more sleek and compact design. Just to give you an idea both the phones are just about the size of their predecessors albeit a bit narrower making it easier to be used with one hand. In the looks department, these are the phone to beat they simply are gorgeous to look at. They are available in following colours in Singapore Midnight Black, Orchid Grey & Maple Gold. It's commendable how Samsung has managed to make these phones sleeker while not having compromised on any features, they are IP 68 rated, have a 3.5 mm Jack, wireless charging, Expandable storage, USB type C with adaptive fast charging, it’s all there, a complete package. Samsung makes the best AMOLED displays period. Need I say more, the bezel-less display forms the front of the screen. QUAD HD+ Super AMOLED panel which is HDR 10 compliant (no Dolby vision though). DisplayMate has rated it as the most innovative and high-performance display. And rightly so, everything you see and do on this screen, be it watching movies, playing games, browsing through web pages or social media you and in for an immersive experience. It's vibrant and has excellent sunlight visibility to be used outdoors on a bright and sunny day. The implementation of the virtual home key below the glass to make room for more display of their prowess in craftsmanship, it’s responsive and the slight vibration doesn’t feel awkward at all and it is seemly more durable than a physical home key. For most Samsung users, the muscle memory is so well adjusted to this setup, seems an effortless and welcome transition. 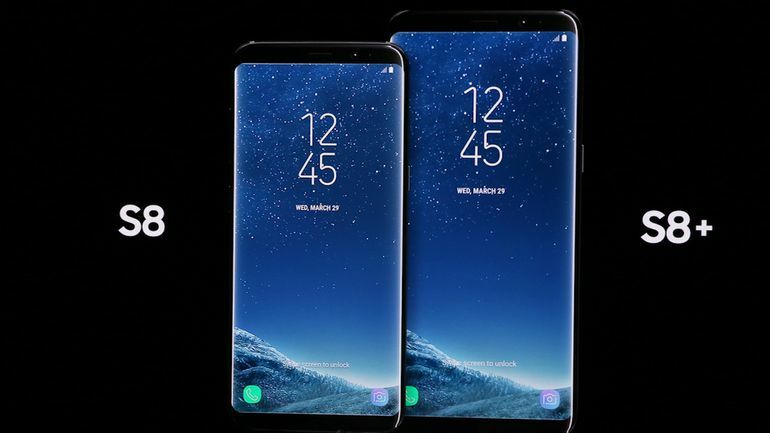 Now all that sleek and compact design had to have a compromise somewhere and the one this year is rather surprising, makes me wonder how could Samsung get this one so wrong. The fingerprint sensor is oddly placed right next to the camera lens. Though the whole set up is flushed with the back surface, which helps remove that odd camera bump, however, it makes it that much more difficult to place your finger on the scanner without smudging the camera lens. Maybe Samsung wanted to offer a new photo option called ‘Smudged Pix’ jokes apart it’s a poor choice of placement. Below the lens towards the centre would have made more sense. Again, a good case should help resolve this issue as the cut outs provide you with the much-needed bifurcation between the lens and the fingerprint sensor. 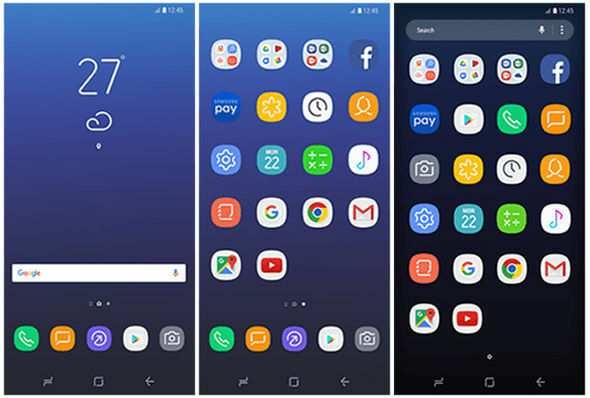 TouchWiz is one of the heaviest skins on android and has a reputation for being sluggish over a period of usage. 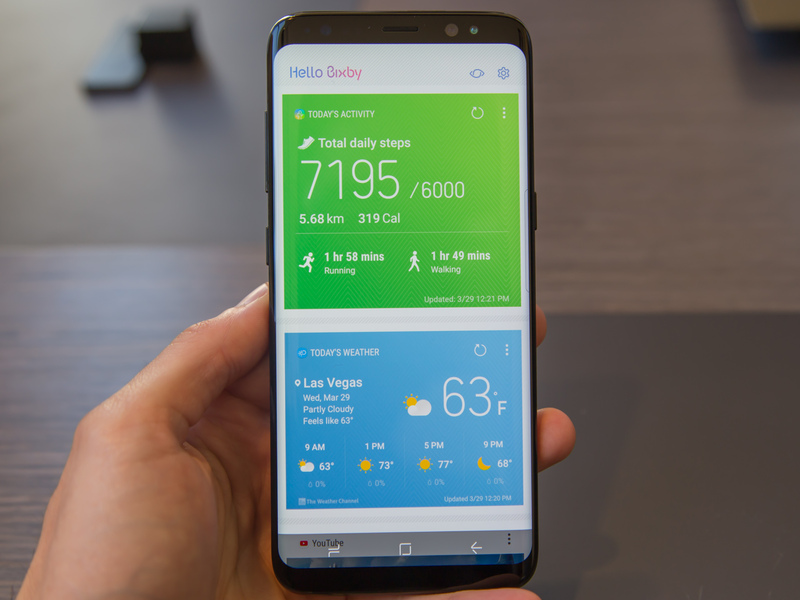 Samsung is obviously aware of this and has been giving a lot of attention lately, evident with Grace UI or Samsung UI, the UI & UX have been heavily toned down and so for the experience has been good, it’s fast and responsive without a single crash or that odd stutter. Also, there are some features Samsung has always been doing right like multi-window option was well integrated and worked well already way before it was introduced in Nougat, personally I think Samsung offers the most user-friendly file manager, contact manager, basic phone and menu options. Also, it has one of the best Theme Store for you to tinker with the UI and Icons. The navigation buttons are also interchangeable, well it’s a welcome change as some users (especially the ones migrating from other brands) disliked the previous setup from Samsung. Specs wise Samsung didn’t compromise, both the phones are powered by Exynos 8895 octa-core CPU (4x2nd-gen Mongoose 2.3GHz + 4xCortex-A53 1.7GHz), Mali-G71 GPU with 4 GB RAM & 64 GB internal storage which is expandable up to 256 GB with UFS card support. 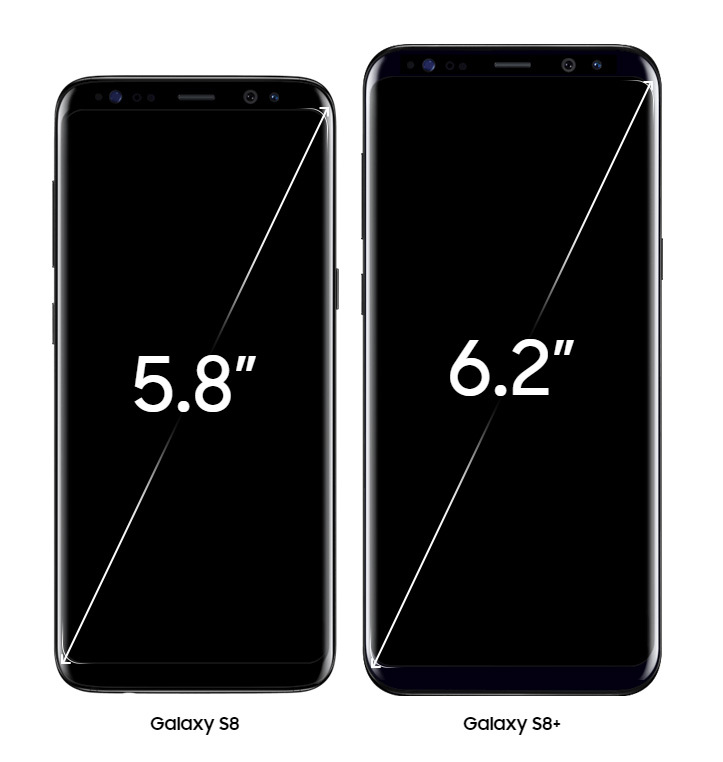 This is great, no matter which version you choose to buy slightly petite S8 or the larger sibling S8+ you won’t feel short-changed. Understandably so the only difference being the screen size and battery. The performance on both phones is as expected, smooth, zippy and stutter free. As I have mentioned above the toned-down version of Samsung’s runs buttery smooth. One thing which annoyed me predecessors was the accidental and unintentional touches on the screens causing all sorts of interruptive pop-ups and actions. Samsung has done a great job this time around and the palm rejection has been greatly improved to the extent that I have not had a single incident so far. 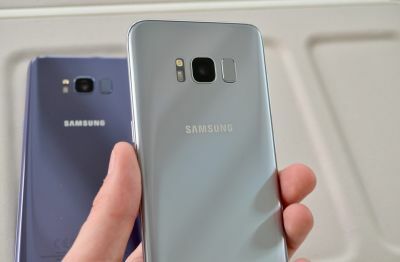 The S8 & S8+ are the first phones to launch with Bluetooth 5 Standards, what it means in terms of performance is double the transfer speed and four times the range compared to Bluetooth 4. It’s also more power efficient. Though it's capable of connecting and working with two devices at once, in my experience the performance is optimum with one device. Listening to music on wireless headphones while my phone was on a wireless charging pad and I was strolling around was seamless and uninterrupted. Galaxy S8 and S8+ are packed with enhanced defence grade security features, the upgraded Knox 2.8 safeguards your data round the clock if you choose to activate it. Multiple biometric authentication options such as Iris scanner to scan your irises to unlock your phone or to make secure transactions, fingerprint scanner. Option to unlock the phone using your face recognition comes in as a handy option since it has been discovered that it’s not that safe after all as you can simply use a pic of your face to unlock the phone. So, it will go into my list of features which are there but will ever be used (palm swipe to capture, smart stay, easy mute etc. you can find a few more of these under Advanced Features in the menu). Secure Folder though is a need neat feature and you can keep your personal data, files and apps separately in the Secure Folder to keep them accessible only to you. Samsung has also provided a shortcut for same in the has also provided a shortcut in the navigation bar for easy access. Smart Switch is another useful too most convenient data transfer app from Samsung. Though it works effectively between Samsung devices. It lets you easily move/transfer your data like your photos and videos, contact, call and calendar logs, messages, music and apps Smart Switch helps you move it all from your old phone to your new Galaxy S8 or S8+. Imitation is the highest form of flattery though unnecessary at times, well Samsung has always tried to one-up on Google whether it's offering their own in-house apps or be it the voice assistant. Hello Bixby! They went far as to give it a dedicated button. Whilst the Voice feature is yet to be released as its still under development, so right now though the functionality is limited to giving you weather and news updates in Flipboard fashion from a small selection of apps you can choose from. Another neat trick is the Bixby Vision, sort of visual assistant meaning you point at any image or thing it will give you random images information, it even offers to translate the text from the captured image. The more you use, more accurate will be your search results and content. Well that is where Bixby stands as of now …. Hopefully, when the voice assistance will go live Samsung will pack in few more features and broaden the app support. They did give it a lot of emphasis during the launch and promised an advanced Assistant working seamlessly. Well only time and updates will tell. Samsung has the best camera on their flagship phones period. I know there are other good camera phones out there but personally, I prefer the picture quality from Samsung flagships. I love the bright and slightly oversaturated, punchy colours produced by the cameras. Both Galaxy S8 and S8+ pack a 12 Megapixel rear camera and an 8 Megapixel front facing camera both with F1.7 Aperture help you capture crisp and vivid pictures and videos irrespective in the lighting conditions, even underwater. Though the setup sounds quite like the predecessors, it's a totally new setup and both the front and rear cameras have been improved with enhanced multifare image processing and improved low-light performance, with variable focus and Auto HDR. Pro mode is impressive. It is full-featured and offers varied granular controls at your disposal - ISO, white balance, shutter speed, exposure compensation etc. You name it, it's there. As far as resolution goes, the selfie also captures stills in 4:3 natively, while video resolution can go as high as 1440p. Also, there are few modes which could be downloaded like animated GIF’s, beauty face, animated masks etc. The bottom firing speaks are just ok, though stereo speakers would have further enhanced the multimedia experience. Often wonder why Samsung has been holding back on this feature, guessing it might be because of the waterproof seals which muffle up the sound. The audio quality from the Bundled AKG headphones is crisp, clear and loud with a good amount of bass. I listen to a lot of music and this is perhaps the first time I am satisfied with the audio quality on a Samsung flagship devices. Kaboom! 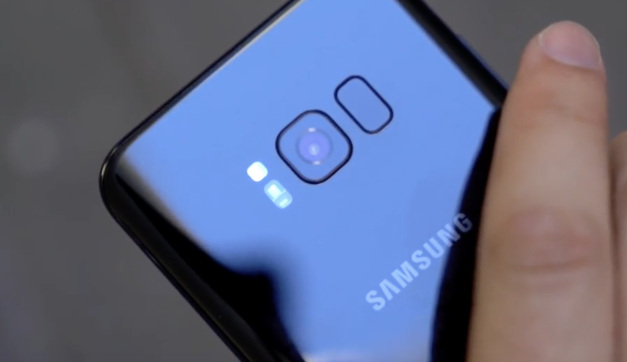 Nope these phones are not going to explode, Samsung has released an elaborate video on the 8-point testing. 3000 mAh for S8 and 3500 mAh for S8+ is just about adequate for moderate to heavy users, however, a top up charge using the wireless fast charge or through USB type C would ensure that you can take a lot of pics during that outing with your loved ones. For those of us who use wireless charging on regular basis understand how convenient it feels to charge your phone just place in on the fast charging pad. The Samsung Galaxy S8 Starter Kit also comes a with a clear case and a screen protector which fits just about right on the curved screen. To make it more power efficient the Quad HD displays are set to default FHD resolution, though you have an option to set it to QHD with just a simple swipe. But in my opinion, FHD is adequate. The game Launcher interface is also present here which offers various options for you to tweak things like resolution, frame rate etc. All these options combined with optimisations for improved power efficiency on Exynos 8895 are evident in daily usage. The standby times are great, less battery drain during the night or idle time. However, AOD still has an impact on the Battery life, technically to my understanding, it must have to do with the higher number of pixels it must light up or activate. I don’t use it unless I want to use it as my bedside clock. Else during the day anyways, we look at our phones some zillion times. Battery charging time is fast as well as they have always been. One thing to take note is that the charging times are slower if you keep the screen on (hence Samsung always is careful to call it Adaptive Fast Charger) So you need your phone to charge faster please don’t use them while charging or better charge it when you are not using your phone. The battery life depletion is one of the concerns as we have experienced with predecessors but Samsung seems to have addressed that and promises this time around the battery depletion would be minimal over prolonged usage. Only time will tell. Overall though the battery life, for now, is great! This year we are witnessing a paradigm shift in Phone manufacturers and consumers alike, the trend of bigger screens fitted into a smaller form factor seems to be the focus. Emphasis on packaging more features and powerful specs into a compact device in a most effective and attractive device is the goal here. With S8 & S8+ Samsung seems to have achieved this goal. As for as the looks goes there are no other phones which look so magnificent. However, challenge for Samsung to reclaim trust with consumers (especially the sceptical ones who are holding back on purchasing these new devices on fear of exploding batteries). With all the technological prowess Samsung has put into designing these gorgeous and powerful devices, I put my faith in them and invite all those who are tempted to explore something different and incredible you to get S8 or S8+. For all those tech bugs out there, you can now own a piece of Samsung Galaxy S8 at the lowest deal in Singapore.